This is a luxury ocean view North American quality home offering stunning ocean and mountain views. 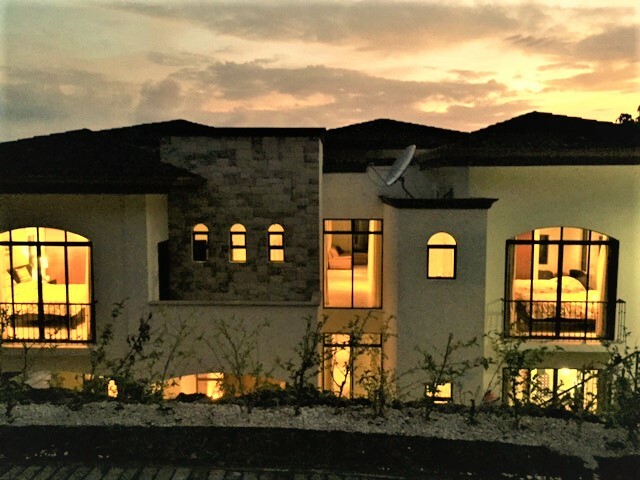 400m2 construction multi level family home is the largest in Esterillos Estates, high on the ridge with abundant wildlife, a nature lovers paradise! Daily visits by Toucan’s, Titi Monkey’s and more. Brick paved roads with lighted streets wind through lush green rolling hills to this residence. Underground utilities with top quality 24/7 security. This is a wonderfully safe and secure Esterillos neighborhood. Community parks and trails are a great way to start your day without leaving the comfort of home. 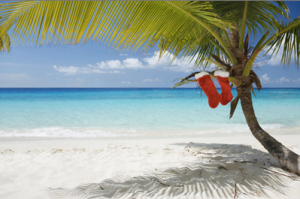 Miles of pristine private beaches only 5 minutes away! Perfect for surfing, swimming or just relaxing. 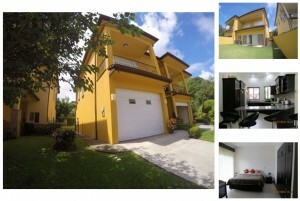 Ideally located between Jaco Beach (20 minutes) and Manuel Antonio (40 minutes). 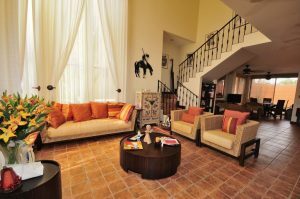 Minutes to shopping, dining and endless attractions such as Horseback Riding, Canopy tours, Zip-lining, National Parks, Snorkeling, Fishing, Surfing and the list goes on and on! 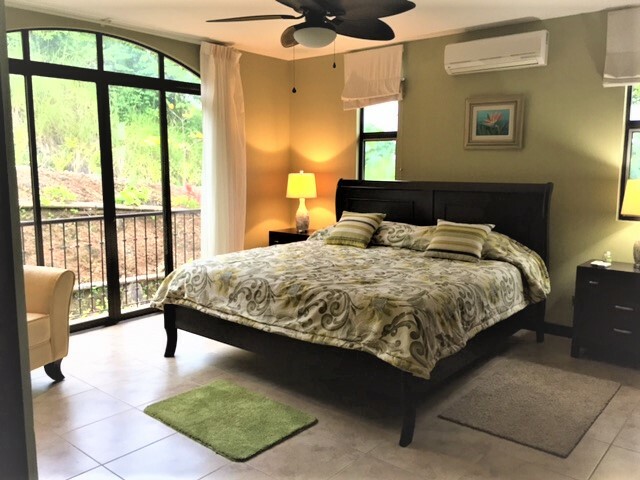 Fully furnished with family room, living room, formal dining, laundry room, 4 bedroom, 2 master bedrooms w/ on-suites, 3 king sized beds, Jacuzzi tub, double vanity and large showers. Guest bedroom with 2 twin beds. 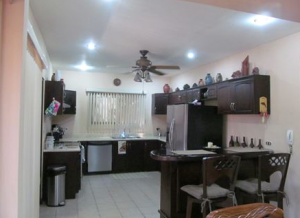 All bedrooms have custom built-in wall closets (rare for Costa Rica). 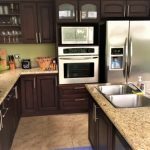 Eat-in kitchen overlooking the ocean and jungle with granite counter tops, custom cabinets and stainless steel appliances. 7 LG Air conditioning units throughout the home w/ 6 high-end ceiling fans. $12,000 security system with camera’s inside and out, however not needed as the community and private hill-top location of the home is extremely safe and tranquil. Expansion possibilities with 3 large basement rooms. Enclosed garage w/ plenty of extra parking on private hilltop cul de sac. Daily water service w/ new HUGE professionally constructed 3000 gallon underground water reserve (most homes have only 290 gallon plastic back-up water tanks, at best). Upper and lower gardens featuring 3 outdoor balconies to catch the cool ocean breezes, enjoy the amazing nature and abundant exotic wildlife. 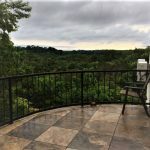 Over half an acre property with many exotic fruit trees (Mango, banana, plantain, lemon, apple, miracle berry, etc) w/ extra land to develop pathways, gardens and more. Luxury Ocean View home with little out of pocket! This spectacular home can be yours for little money out of your pocket! It comes with an optional assumable bank loan for $266,000 and additionally, the owner is willing to finance the difference with a small deposit. Listed at $499,000 but flexible. Click here to see more pictures. Please contact Kim Giannone for additional info or to schedule a private showing. In the history of the United States there has never been such a heated and chaotic election season. From Hillary’s WikiLeaks email disgrace to Trump’s hot mic, there has been no shortage of scandal in the USA 2016 Election saga. As the polls heat up and the potential of a contested result looms on the horizon, many Americans are considering their options and considering a more peaceful paradise; a place to find solace and to realize a dream of the pure life. 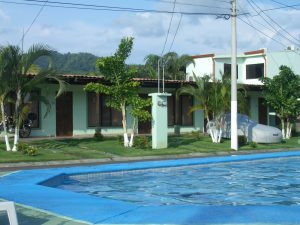 A peaceful and serene home can be found in a variety of settings surrounding the international community of Jaco, Costa Rica. Whether one’s desire is to escape to a quiet mountain retreat that overlooks the ocean or a centrally located beachside paradise, there are a bounty of options for affordable real estate. 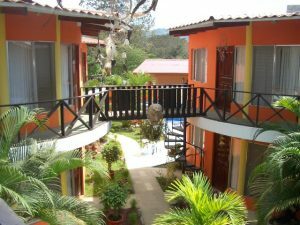 Beginning the new chapter of life in a centrally located condo in the city of Jaco, known for its international vibe and proximity to San Jose, can be realized for under $100,000. This value priced location in Paradise Condominiums is approximately one block from the beach, offers 24-hour security, and is also within walking distance to restaurants, grocery stores, and entertainment. 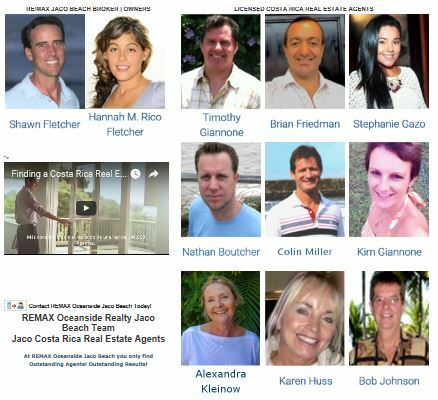 If a more luxurious beachfront dream is calling, then there are many excellent options around the $200,000 price point. For those who desire tranquility at a higher altitude, consider the Hermosa Beach Bungalow; this hillside haven comes fully furnished with valley and ocean views for $170,000. Don’t miss this incredible fire sale! The Central Pacific coast offers far more than reasonably priced real estate. As people consider new locations to call home, quality of life is one of the highest priorities. 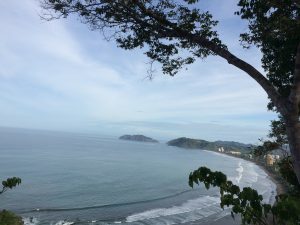 Costa Rica Expats and second home owners know that one of the greatest draws to this paradise is the focus on pure living. According to the Happy Planet Index survey of 140 countries, Costa Rica ranks 1st for quality of life; the United States in comparison ranked 108th in the study. From the beaches to the mountains, welcoming smiles sing the praises of a beautiful country that understands that life is about more than fiscal profit. In 2015 Costa Rica produced 99% of its electricity from non-carbon hydro-electric and wind power plants; Costa Rica projects even more efficiency for the coming years with a goal of becoming carbon neutral by 2021. On top of leading the charge for responsible production and consumption of energy, the country also stewards this beautiful creation by staying at the forefront of ecological cultivation. Who wouldn’t sport a grin when a pair of vibrant scarlet macaws fly by against the backdrop of a tropical rainforest or beachside sunset. The economy of Costa Rica is relatively small, but the stable social and political environment create a foundation for continued sustainable growth. In 1949 the country abolished its army and began to invest funds into education and other value added initiatives that continue to move Costa Rica forward towards an even brighter future. The work force is exceptional and the nation boasts a 98% literacy rate. It’s no wonder that corporations such as Smith and Nephew are investing millions of dollars into the Costa Rican economy, creating jobs and establishing their name in this growing Central American economy. Costa Rica is also built upon stable banking and mercantile regulations, which offer investors peace of mind when considering a move. 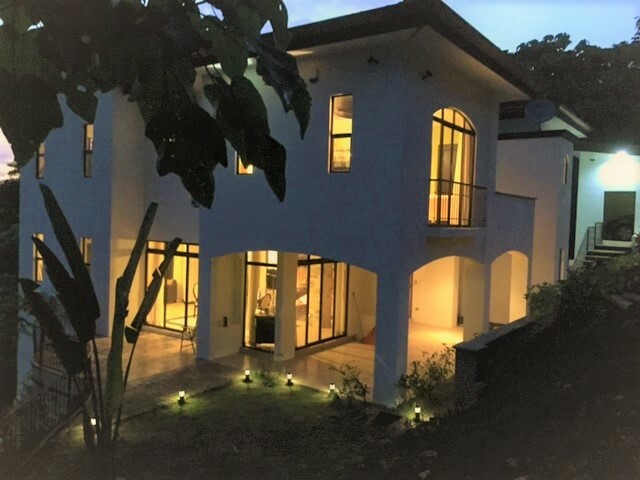 For Punta Leona Costa Rica real estate for sale options or showings contact Hannah Fletcher or any of the REMAX Oceanside Realty Jaco Beach agents. This home near Los Suenos for sale may be the end of your Costa Rica real estate search. This three bedroom, 3.5 bath home’s construction was completed in October 2014 and comes fully furnished. All appliances are under warranty, including the central air. Seller offers financing: $150,000 loan at 8% for 20 years. 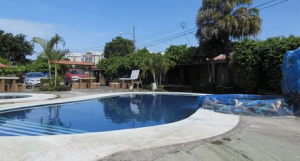 The development offers 24 hour gated security, a pool, playground and basketball court. With only a 5 minute drive to the beachfront of Jaco, you can have the best of both worlds. The town of Jaco Beach offers excellent restaurants, bars and shops. Jaco is home to great beaches for surfing, swimming, SUP-ing and relaxing. Herradura Bay is located 1.5 hours from the Juan Santamaria (SJO) airport. While driving from the airport, you will pass by the famous Tarcoles crocodile river, where you can take in the sights. 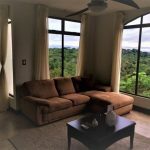 Approximately one hour south from this home, you will find the beautiful Manuel Antonio National Park near Quepos (home of Marina Paz Vela), which is home to numerous species of Costa Rica’s famous creatures: sloths, monkeys, several different types of birds, anteaters, and many many more). 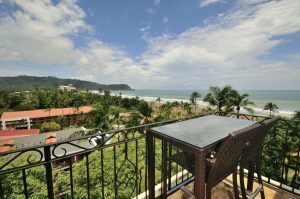 If you are looking for a home near Los Suenos for sale as a permanent residence or for a vacation rental this is a good place to start. This beautiful and new 3 bedroom home close to all amenities may be just what you have been looking for. To set up a showing or for more details contact me. Let’s get you your own piece of paradise.